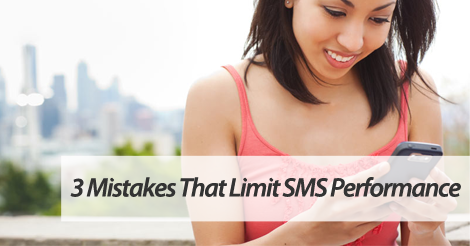 If you’re going to use SMS marketing to fuel your business, make the most of it. Don’t miss out on growth opportunities by making these silly mistakes. Stay on top of your SMS campaign composition, and you’ll easily be rewarded. One simple change can go a long way. You don’t upgrade your account to allot for growth. We hate seeing customers miss out on opportunity. Keep an eye on how many messages you’re using every month. If it’s getting close, don’t forget to upgrade. We don’t want to see you miss out on future growth or engagement due to this silly foresight. You don’t reserve a fail back textword. First things first, let’s make it clear. You don’t always have to reserve a fail back textword. But, if your textword is easily misspelled, you might be missing out on tons of opportunity. For example, let’s say your textword is SMOKEYS. You might want to reserve the textword SMOKIES just to be safe. Sure, print materials might easily point new subscribers in the right direction. But, let’s say you run a radio spot promoting your SMS list. To the listening ear, it won’t be clear whether SMOKEYS or SMOKIES is the correct spelling. You’re not sending enough promotions. Test the waters a bit. Let’s say you usually send 4 unique mobile offers a month. Your redemption rate is regularly through the roof. Change your frequency promise first, and then up the promotions a bit. Keep a close eye on your redemption, and see if anything changes. If your redemption rates stay consistent, stick with the new frequency. Partner up with top SMS marketing service, SlickText.com. We give you everything needed to grow your list and experience success with this mobile communication tactic. Give us a ring at 1.800.688.6290 to learn more, or head over to the pricing page and sign up for your free plan. Our feature rich platform is packed to the brim with educational resources that empower you, the small business owner, to succeed.